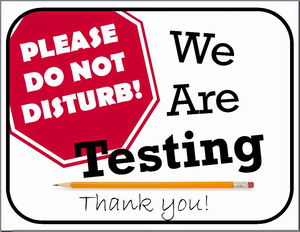 State testing is coming up! Here is a list of approximate dates. Please see your students teacher for specific times. 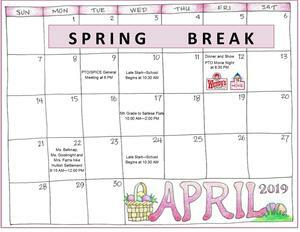 Take a look at all that is happening at Seth Woodard in the month of February! Check out the latest at Seth Woodard Elementary! If a delay or closure is necessary our emergency call notification system will be activated, a notice will be posted here and on our social media sites as well as announcements made on television and radio. 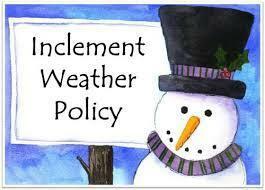 If no call is made and no announcements and posts are created, school will begin on the normal schedule. Please be safe on the roads. 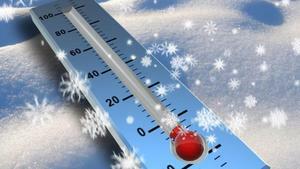 If a two hour delay is necessary, school will start 2 hours later than the normal times. Busses will run 2 hours later than they normally would. Seth Woodard Elementary Welcomes the BUDDY BENCH!! Today Seth Woodard students celebrated the addition of a "Buddy Bench". The goal of a Buddy Bench is to promote inclusion and connection on the playground. Recess and lunch hour can be lonely or anxious times for some kids. Teachers instruct their students to sit on a Buddy Bench when they don’t have someone to play with at recess or if they need a friend to talk to. Children are also taught that when their classmates are on the Buddy Bench, that’s a signal to go and ask if they’d like to play, eat together, or talk. Buddy Benches encourage friends to sit together, and inspire students to seek out other classmates who might be alone. 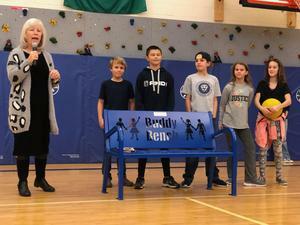 Thank you Mary Helen, Publisher of Kids Newspaper and Kaiser Permanente for presenting and donating our new BUDDY BENCH! As you know, the beginning of the year means HOMEWORK FOR PARENTS. Instead of that paperwork coming home in big manila envelopes, it is now online. PLEASE take the time to fill it out even if there has not been a change in information. There are special permissions and information included in this paperwork. If you do not have a computer available to you, we have computers available in the Seth Woodard Office for your use. 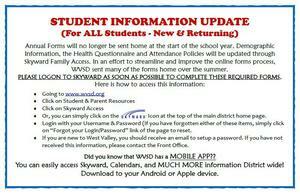 If you need help logging in, please call us at 509-921-2160.